Hot off the press! 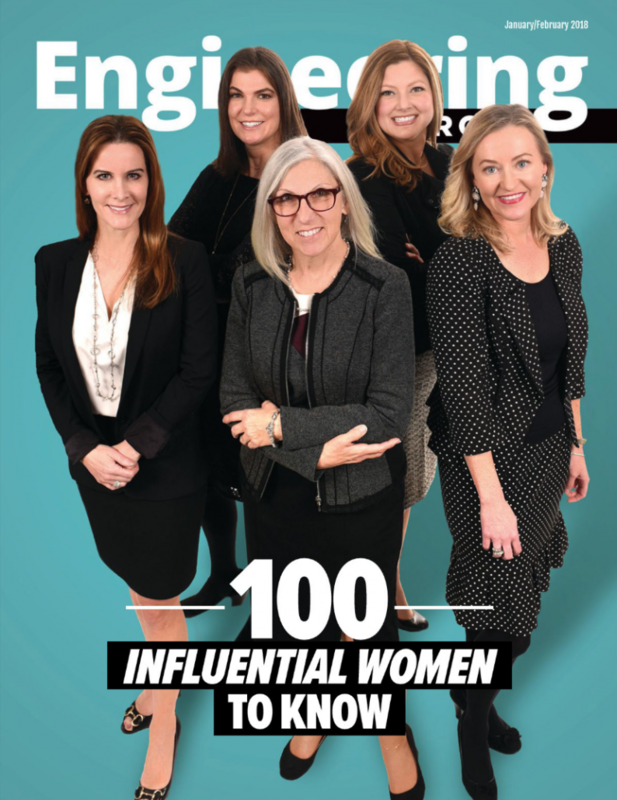 The cover of this month’s Engineering Georgia magazine “100 Influential Women to Know” issue features Advance Atlanta Vice President & Sugarloaf Community Improvement District Executive Director Alyssa Davis. Among the list of 100 women founders, CEOs, principals, rising leaders, and influencers featured with Alyssa is Advance Atlanta co-founder and current president Danielle Elkins (Civic Ideation, founder & Chief Executive Officer). 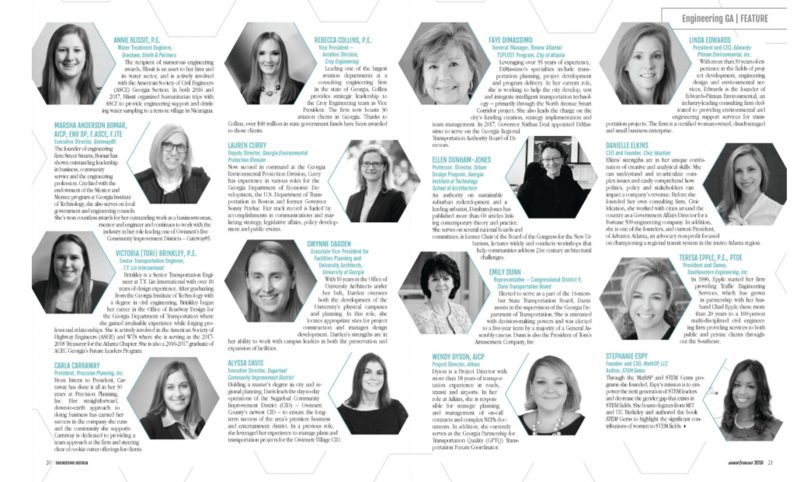 Check out the full issue of Engineering Georgia Magazine (January/February 2018) online or in print to see Danielle, Alyssa, and the full list of honorees.